Bargain hunting has become so easy that it’s an automatic part of our shopping process. If you’re planning a trip, you’ll probably use discount websites to compare rates on flights, hotels and rental cars. If you’re shopping online, you know coupon codes for free shipping are just a search away. Finding the best deal is our second nature. But what about prescription drugs? If you’re like most people, you usually rely on your health insurance and hope you won’t have to pay too much to stay healthy and comfortable. When your doctor writes you a prescription, you just head to the nearest pharmacy and pick it up, right? Not anymore. Surprised that most people don’t know how much prescription drug prices can vary between pharmacies that might be just a few blocks away from one another, healthcare systems manager Brad Bangerter created LowestMed to help people learn more about their options — and save money. Anyone can search the LowestMed website to compare prices on different prescription drugs at different pharmacies. It’s free, and you don’t even have to register or pick a password that you’ll inevitably forget. You can print a discount card from the LowestMed website, and just show it to the pharmacist when you go pick up your prescription. However, the real fun is in the app. The minute you’re handed a prescription at the doctor’s office, you can search the name of the drug on the LowestMed app to find out what local pharmacies are charging. Once you find a price and location you like, just head to that pharmacy and show your app to the pharmacist to get the discount. And when you’re feeling under the weather — or helping a family member or a little one on the mend — being able to make that quick, informed decision can make everyone feel a little bit better. Having LowestMed in your pocket is like having a secret weapon every time a family member needs a new prescription. 70% of Americans regularly take one prescription drug regularly, and more than half of us take two, according to the Mayo Clinic. Those statistics don’t even count the short-term medications we take for illnesses like strep throat or bronchitis. How much money could this app help you save? Obamacare is Here. Do We Still Need This? LowestMed is helpful even if you have insurance. If you’re young and healthy, you might have a very high-deductible plan, which means you pay a lower premium, but higher out-of-pocket costs for things like doctor visits and prescriptions. About one-third of American workers have plans like this, according to a 2013 study at the University of Minnesota, which means we’re basically crossing our fingers that we won’t need much medical attention. LowestMed can help you find the best prescription price without needing to touch that high deductible. This helps you save money, especially if you only need to fill one or two short-term prescriptions each year. Lisa Rowan, one of our writers here at The Penny Hoarder, has chronic heartburn and takes one tablet of Omeprazole (the popular name brand is Prilosec) every day. “My pharmacist told me it was cheaper to get the pills over the counter, but I never thought about checking at another pharmacy,” she says. “I thought it would be the same price everywhere.” By her count, she spends 54 cents per pill for a retail drug store generic brand. So, she searched the same dose on LowestMed. By traveling to a grocery store just 1.5 miles from her home — a grocery store that she already shops at on a regular basis — instead of the drug store, she can get pharmacy generics for just 16 cents per pill. In about 30 seconds on the LowestMed app, she learned that she could save about $140 per year on that prescription alone. That’s $140 she can move over to her grocery budget, or even into her savings. The LowestMed app is available for iOS, Android and Windows devices. 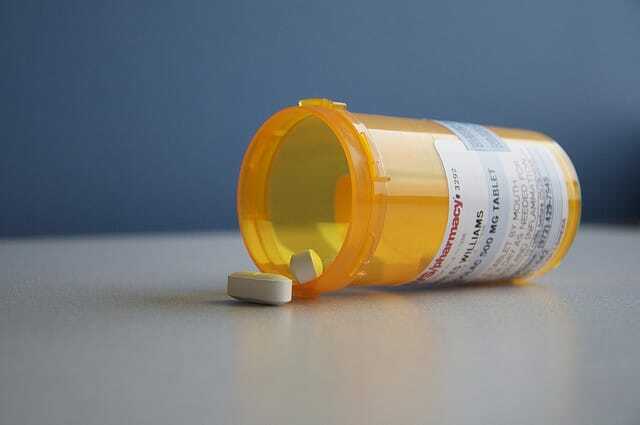 Your Turn: Do you ever shop around for your prescription drugs? Would you try comparing your options on LowestMed? Sponsorship Disclosure: A huge thanks to LowestMed for working with us to bring you this content.